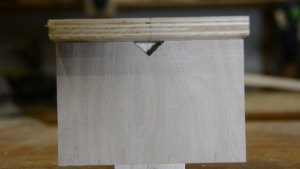 I love loose tenon joinery. 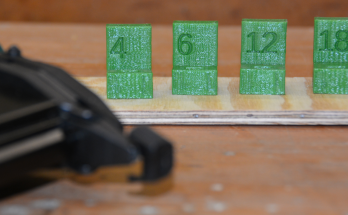 It is such an easy point and shoot method that it really changes my way of woodworking. 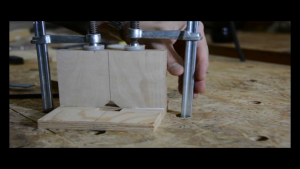 In a recent video I created a 3D printed jig for loose tenon joinery. 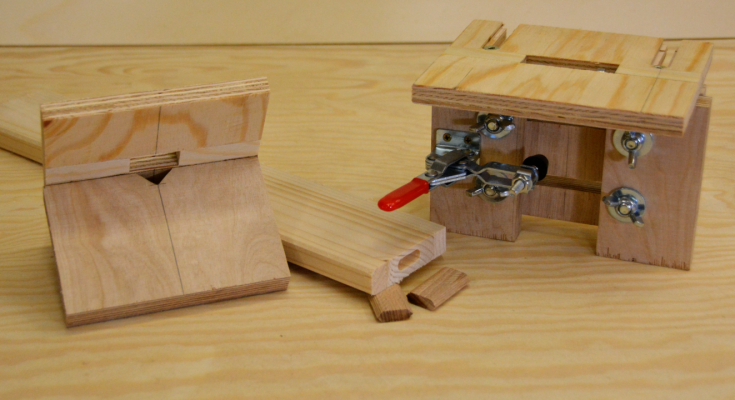 As not everyone has access to a 3D printer I’ll show you here how to build a jig that makes loose tenon joinery as precise as a Festool domino jointer. 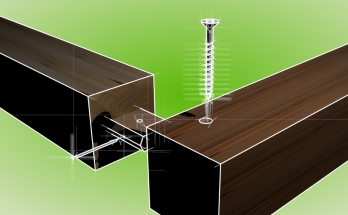 We will first build a simple 10 min version and then integrate some more advanced adjustment options. 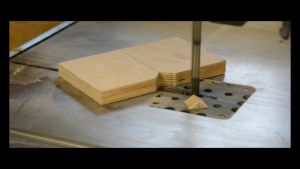 For the simple version you need a guide bushing on your router. Measure its outer diameter; mine is 17mm. You can find a detailed plan here. 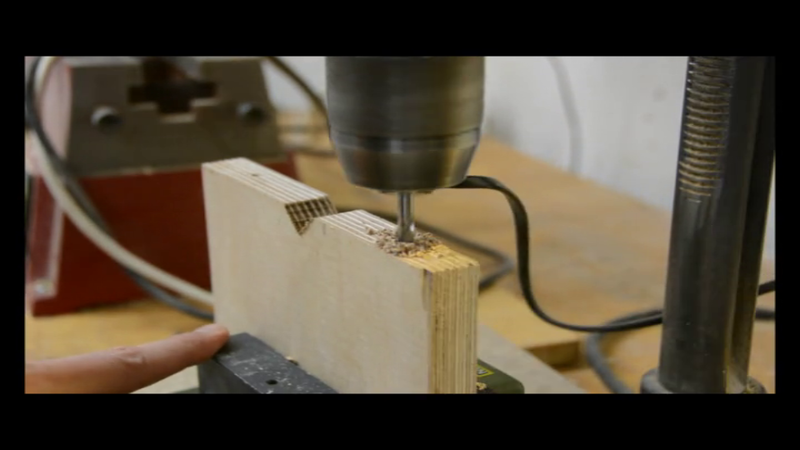 In this entire build there is only one cut that is a bit tricky. 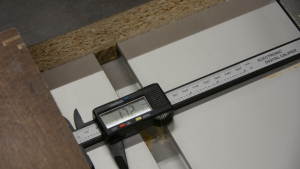 We have to cut a piece of half inch or 12 mm plywood to exactly the width of the guide bushing. 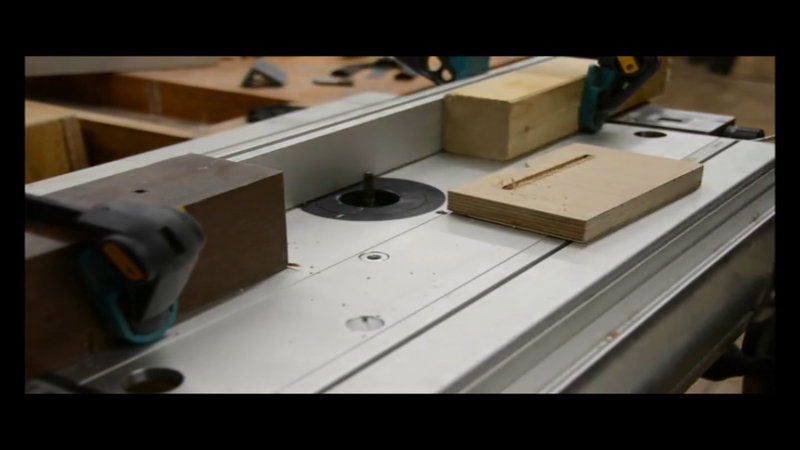 I will make the cut on my table saw. First I make a cut of nearly 18 mm which leaves the strip of wood oversized by around a millimeter. I measure the width of the strip with a caliper. 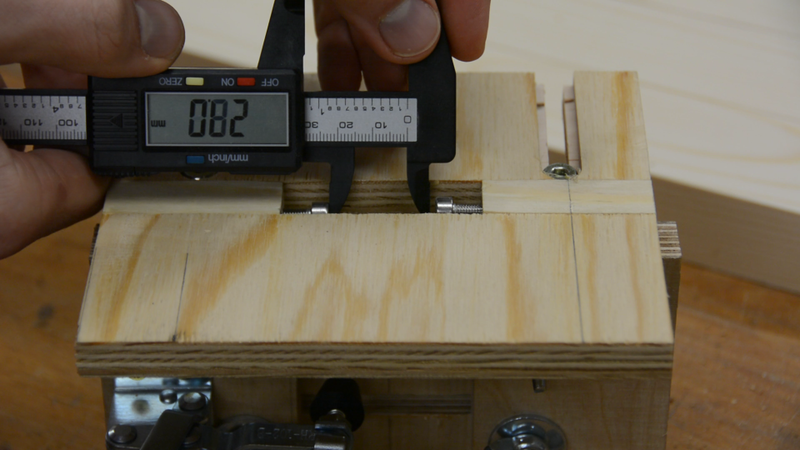 Without changing the measurement on the caliper I position it against the fence and put a block of wood next to it. Now I can carefully move the fence till it fits the width plus a tenth of a millimeter as play. 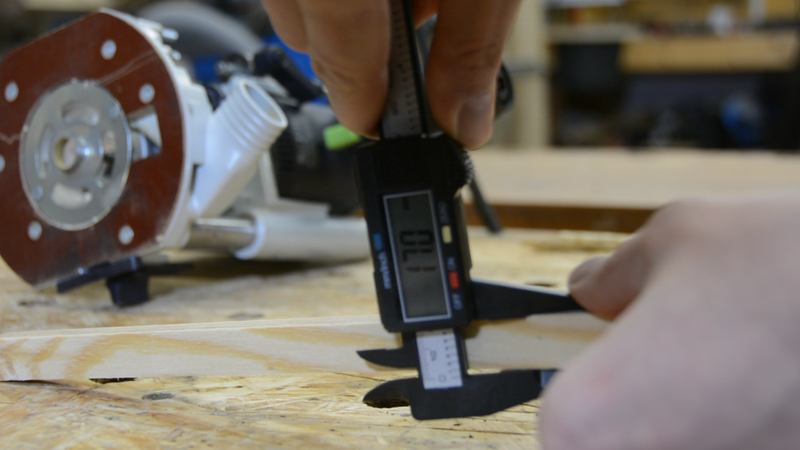 Next we make one more cut to create the centerpiece of the jig. 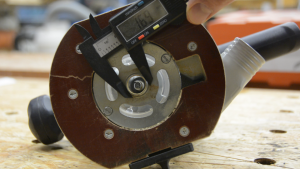 While the width of this piece should be precisely the width of your guide bushing the length is the length of your slots plus the size of your bushing. For a standard domino that’s 13 mm – so the total length with a 17 mm bushing will be 30 mm. 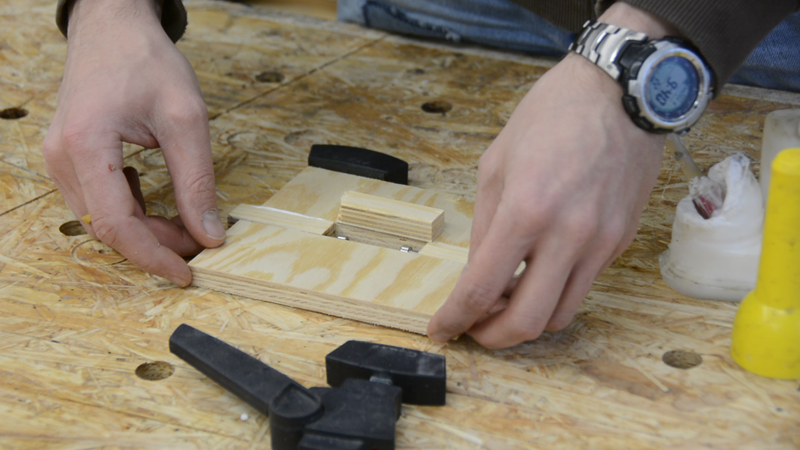 Besides the center piece we cut 2 more pieces from our bushing-sized strip and 2 larger pieces according to the plan. 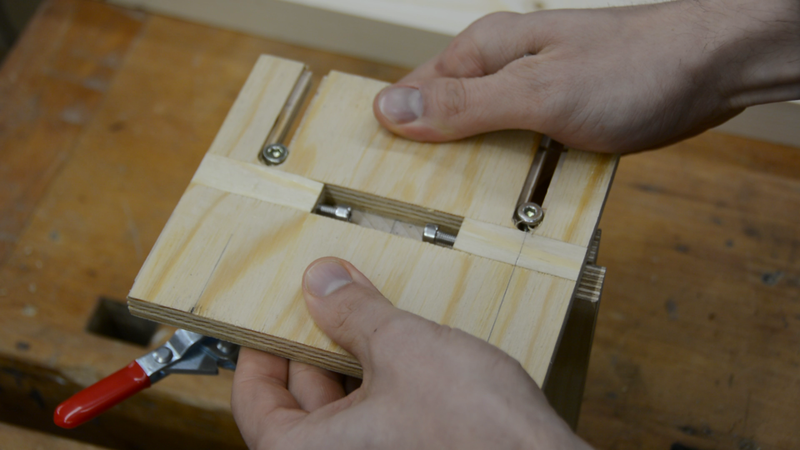 As a quick test I clamp all the pieces together and check that my guide bushing has no play in the slot. For the simple version we need one more piece of 18mm or ¾ inch plywood with measurements according to the plan. 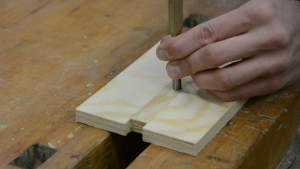 We mark a center line on the thicker piece and cut a small notch at one end of this line. Now we glue all the 12 mm pieces but not the centerpiece together. After the glue has dried we can knock out the centerpiece. On this plate we mark a line on the longer side of our slot that equals half the material thickness minus half of the guide bushing width. 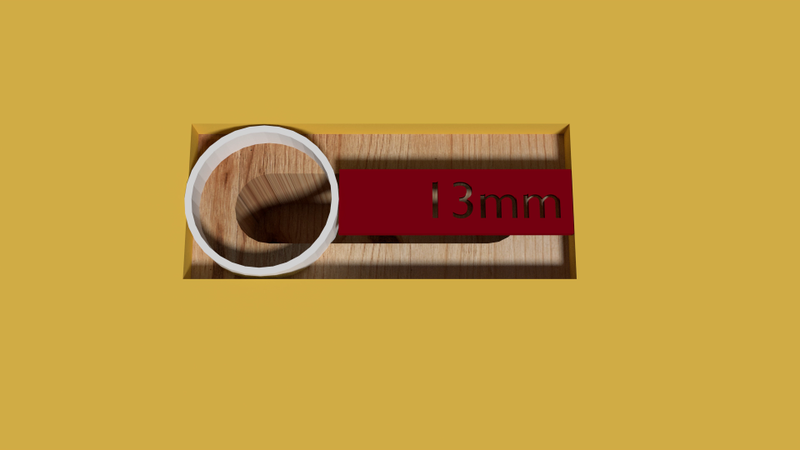 I want to cut slots in 18mm material with a 17mm bushing so the distance is half a millimeter. 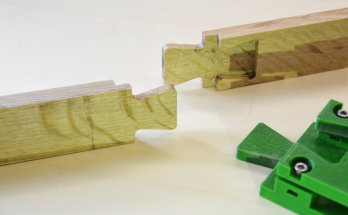 We can now align the center lines on both pieces and glue them together. The simple version is done and we can test it. To create a joint we mark a line where we want to position the tenon. The cutout in the lower plate helps to align the jig with the workpiece so that we can clamp it in place. Next we adjust the right depth of cut and create the mortise. While this jig is build quickly and without any special hardware you would have to build several versions for different material. Let’s build a more advanced version. First we want to create a possibility to adjust the width of the mortise. 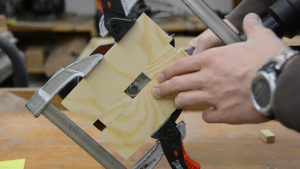 Before gluing our plate together we will drill a hole in the two small side pieces, tap it with a M5 tap and add two small machine screws. Now we can glue the plate together as we did before. It would also be great if we could adjust the jig so that the tenon sits centered in workpieces of a different width. Here you see me routing a wider but shallow recess and a 6mm slot in the plate. 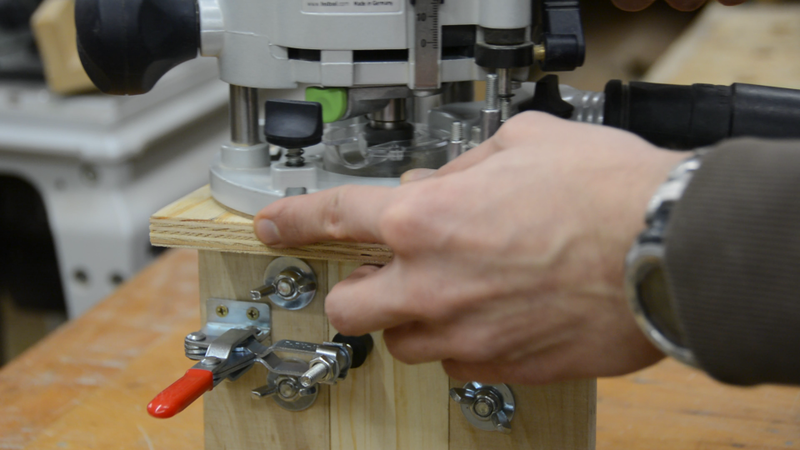 We carefully position it on top of the wider piece and use a 6 mm drill to mark the center of the slots. 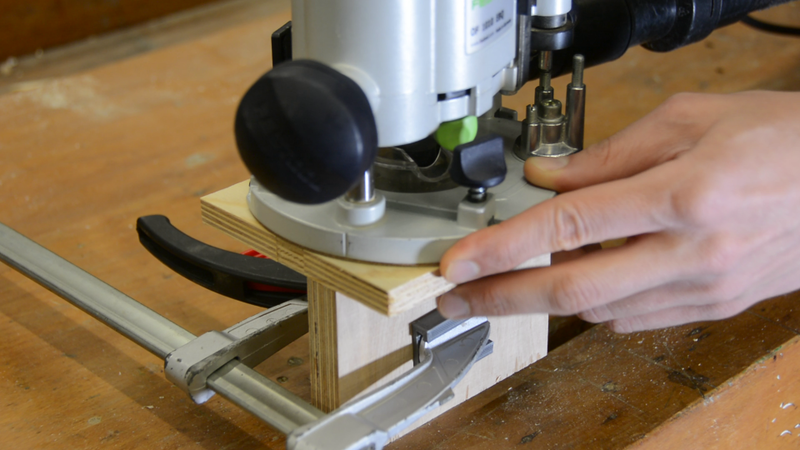 In the position of the divet from the drill we drill and tap a 6 mm hole. Now we can screw the plates together and are able to easily adjust the width and the position of the slots. The third improvement is not strictly necessary but will make life quite a bit easier. 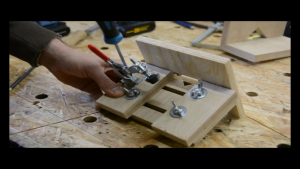 In my 3dprinted version I used bookshelv pins to register the jig against the workpiece. Here we want to take it one step further and route two parallel slots in the thicker plate. We also mark and drill equally sized holes in two more blocks. If you have a right sized toggle clamp at hand you can screw it to the plate. 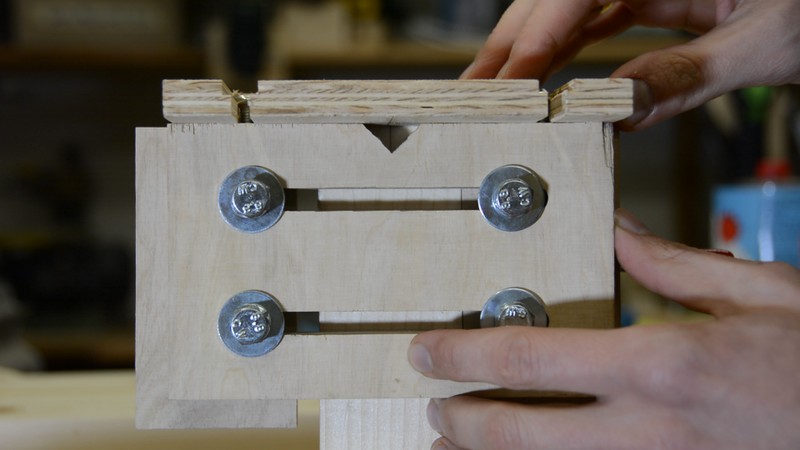 To use the jig adjust the distance of the screws with an Allen key to the right width. 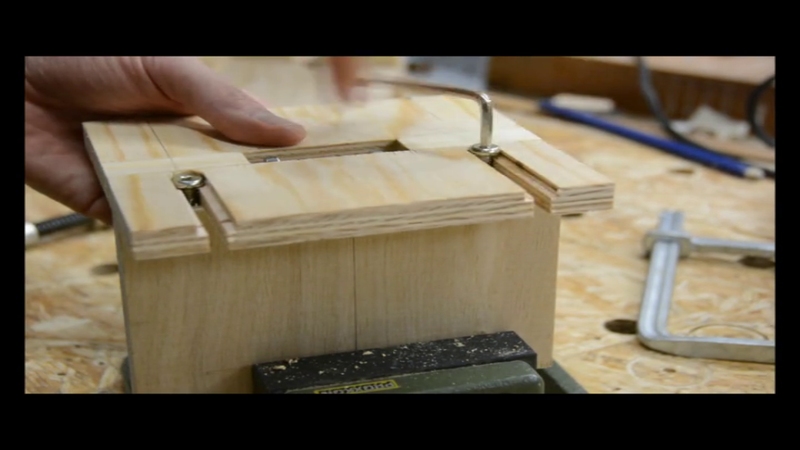 Next we adjust it to the material thickness and after centering the workpiece we lock the two blocks in place. While the setup is more time consuming than the setup of a Festool Domino the actual joinery is as quick and as accurate as with the original tool.